Is clutter your dirty little secret? Drowning in disorganization? Reclaim time (and sanity) with this must-read survival guide! NEW HOPE, Penn., October 25, 2017	(Newswire.com) - Most of us have too much stuff and not enough places to put it. Combine that with our hectic modern lives, and you’ve got a recipe for clutter catastrophe. Luckily, help is at hand. 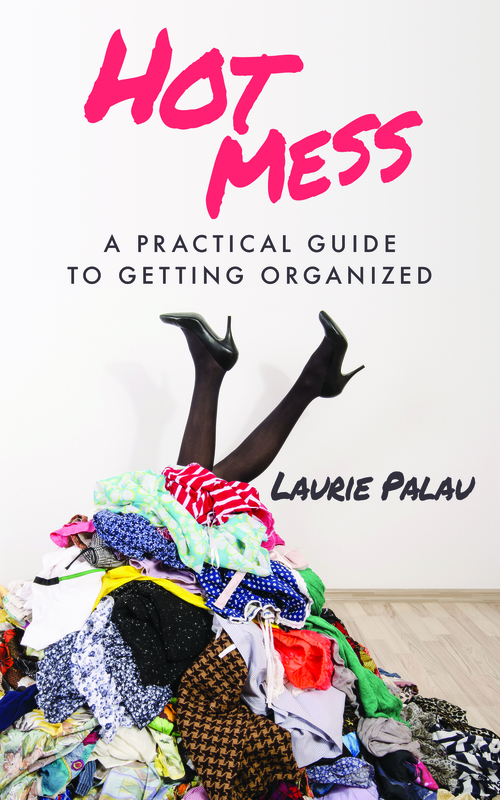 Hot Mess: A Practical Guide to Getting Organized by organizing expert Laurie Palau shows how to simplify life — and get control of that clutter. In this new guide to streamlining and organizing a person’s belongings, house and life, author Laurie Palau gives all the strategies needed to clear clutter once and for all. This comprehensive book offers clever storage ideas and decorating tips, but more importantly, it shows where clutter comes from and how to change your approach to it. This makes it the definitive how-to for dropping all the dead weight that’s been keeping in all that stress and anxiety. Just follow the hacks, tips, and strategies Palau clearly outlines, and you’ll soon be sipping a vodka martini in your beautifully tidy living room. Whether naturally neat or a total chaos magnet, this informative and amusing guide takes an approach to organizing that’s as unique as each person. Let this witty little handbook be your new secret weapon in the war on disorder! Laurie Palau is an organization expert and the founder of the Clutter Clinic, a live workshop that helps teach strategies for staying organized and free from clutter. She has been featured on various morning shows as well as in Family Circle magazine and the New York Times. Each week, Palau hosts the popular podcast This ORGANIZED Life, where she shares stories, strategies, and tips for taking control of all the stressful clutter in our daily lives. You can check out the podcast and her accompanying blog at www.simplyBorganized.com, and follow her daily antics on Facebook, Instagram, Twitter, and LinkedIn at @simplyBorganized. Palau lives in Pennsylvania with her husband, Joshua, their two daughters, and the two family dogs, Jeter and Oliver. For press inquiries contact info@simplyborganized.com.